After ten years, the Men in Black are back with a movie trailer that looks decidedly like the two previous movies. 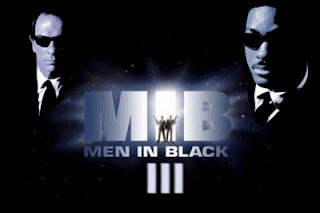 Men in Black 3 preview mostly sets up the story’s main arc, and ends with a twist that everyone already knows about. "Men in Black 3" is scheduled to open in theaters on May 25, 2012. Can Smith, Jones and returning director Barry Sonnenfeld recapture the magic spark that made the MiBs so cool back in the Clinton era? Note: Video Embed Only. Please read our Disclaimer Policy.